based on real exploits of the border patrol: All names were changed to protect the innocent, except the border patrol agents real names are used. Cases range from a drug smuggler who used a teenage boy as a drug mule to ghosts reported seen at Niagara Falls. 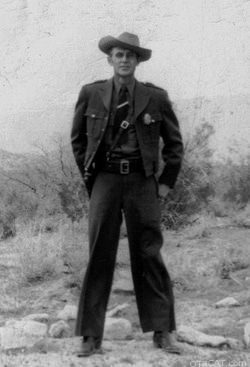 "On the Mexican Border, on the Canadian Border, on the Pacific coast, the Atlantic coast, on the Gulf of Mexico"
Like Dragnet, the cases in Border Patrol 1941 old time radio show are based on real exploits of the border patrol. All names were changed to protect the innocent, except the border patrol agents—their real names are used. Cases range from a drug smuggler who used a teenage boy as a drug mule to ghosts reported seen at Niagara Falls. Although there is a history of horseback riding patrol as early as 1904, in 1915 Congress officially authorized "mounted inspectors." The US Border Patrol was officially created in 1924 mainly as an effort to prevent alcohol from crossing the border during prohibition. There are now over 17,000 Border Patrol agents. "The files of the immigration border patrol are filled with records of dope smugglers, murders, bank robbers, drug runners, blackmail artists, and all types of gangsters who have been turned over to the proper authorities through the efforts of the border patrol." Be the first to comment on "Border Patrol 1941"